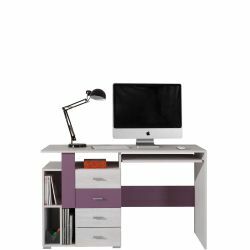 Desk that stands out interesting and modern... Desk that stands out interesting and modern design. It has 4-drawers, shelves as well as a slide-out shelf fot the computer keyboard. Modern chest of drawers with an interesting... Modern chest of drawers with an interesting design. It has up to 5 drawers and 1-door cabinet and shelves. 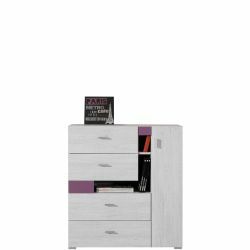 Modern chest of drawers with an interesting... Modern chest of drawers with an interesting design that comes from collection Next. 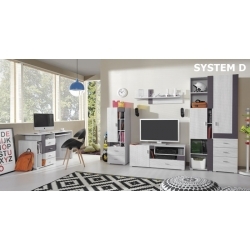 It has 4-drawer and 1-door cabinet and shelves. 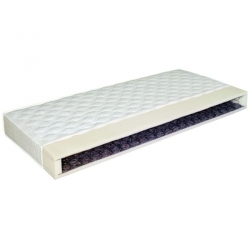 Mattress type Bonell, designed for single... Mattress type Bonell, designed for single beds.NOTE - Stock mattress is shown in an illustrative manner. Mattress type Bonell, designed for single... Mattress type Bonell, designed for single bed.NOTE - Stock mattress is shown in an illustrative manner. Small hanging shelf, it has 1-door opened up... Small hanging shelf, it has 1-door opened up and a small space for different items. Next - modern furniture designed for children and youth. 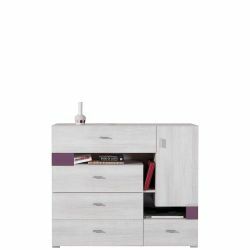 The furniture is of an interesting design and is available in two colors. 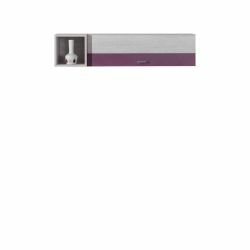 The advantage of the collection is a large number of available cabinets, so we can easily and interestingly equip any room. All the elements of the collection were made of high-quality furniture board, and the handles and legs are made of plastic. Next furniture also has plastic handles and drawers with guide rollers. The furniture is designed for self-assembly. The package contains clear instructions and accessories. 24 months warranty. Polish product.